The technique for closing the abdominal wall has improved substantially in the recent years. To some extent, this progress has taken place despite the absence of new material development or new surgical equipment. Studies have shown that a meticulous technique, using the same suture material that has been available for decades, may be sufficient to substantially reduce the risk for wound dehiscence as well as incisional hernias. In spite of these advances, however, incisional hernias continue to occur. In some cases, there are obvious risk factors that predispose for the development of incisional hernias. One of the most common causes of impaired postoperative healing is surgical site infection. Co-morbidity conditions, such as anemia, hypoproteinemia, chronic obstructive pulmonary disease, malnutrition, diabetes, immunosuppression, and obesity also increase the risk of incisional hernias as well as wound dehiscence. A way of reducing the incidence of incisional hernias is to focus on high-risk patients. In case wound dehiscence or incisional hernia may be anticipated, the risk can be reduced by applying stitches at short interval and avoiding incorporation of fatty tissue in the stitches. Typically, a suture to wound ratio of 4:1 has been considered a threshold to minimize the risk of wound dehiscence and incisional hernia. Nevertheless, incisional hernias continue to develop, even with an optimized surgical technique. As no efforts seem to be sufficient to completely eliminate incisional hernias, they are generally considered as unavoidable late complications of the surgical procedure that have to be managed when they eventually occur. Despite this defeatist view on the development of incisional hernias, recent studies have indicated that virtually all incisional hernias are avoidable. By reinforcing the suture line with a mesh, the incidence of postoperative hernias can be reduced almost to zero. Mesh reinforcement may not completely eliminate stomal hernias as effectively as incisional hernias, but there are several studies indicating that the risk of stomal hernias may also be substantially reduced. 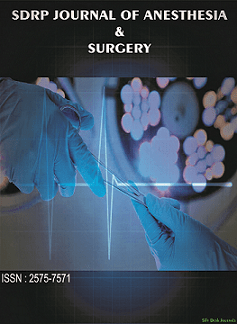 However, even if preventive use of a mesh to reduce the risk of postoperative incisional hernias may seem as a solution that may be applied in any situation, the potential benefits from the mesh has to be related to the costs and risks of applying foreign material in the tissue for purely preventive purposes. A permanent mesh may cause local problems, such as persisting pain, seroma and infections. The benefits should thus be weighed against the possible side-effects from the mesh. Prophylactic mesh may become increasingly practiced in the future. There are, however, several issues that still have to be answered. The optimal properties of the mesh material, whether the mesh should be applied onlay or sublay, how it should be fixated and which patient groups benefit the most are some of the questions that are unsolved so far.